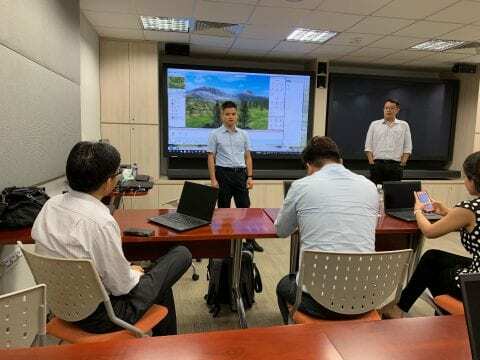 NetDragon, in collaboration with Centre for Instructional Technology, organised a training and demo session on 14th Nov 2018 from 9 a.m. to 1 p.m. at CIT Seminar Room (NUS Information Technology Building, Level 3) for two of their products: 101 EDU PPT and 101 VR. Staff representatives from Central Library, CDTL, NUS IT, SCALE and CIT attended the session to gain insight on what these products are and how they could be used to enhance content for teaching and learning. 101 EDU PPT (Edmodo ClassFlow) is a software package that builds on the familiar PowerPoint interface by adding in the capability to import and display interactive 3D models from a pre-set asset library. Presenters will have an array of tools at their disposal in 101 EDU PPT to help create and deliver engaging content. 101 VR (VR Mysticraft) is a 3D game engine software that allows the creation of any VR content which is supported by a huge resource library of 3D contents from galaxies, oceans, micro-organisms to even historical stories. Content creators have full control over editing and adjusting the cameras, characters, animations and surroundings in real-time in a full 3D creation environment. Posted in What's New on 21 November 2018 by Maria GOH. NUS TEL Imaginarium is a space devoted to motivating and cultivating the imagination, stimulating ideas to refresh and improve teaching methods. It showcases technology enhanced devices to facilitate and encourage deeper learning for teachers and students while having fun at the same time. Have a look at these videos on the Introduction to Imaginarium and the Launch of Imaginarium. A Centre for Instructional Technology production in collaboration with Central Library. 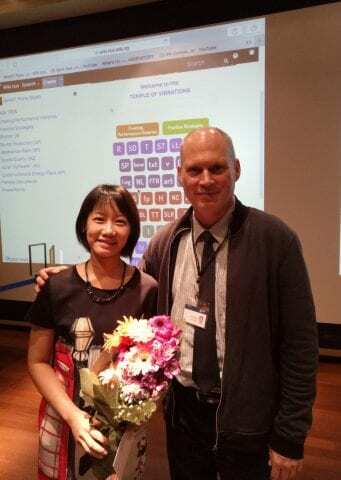 Posted in Events, What's New on 24 October 2018 by Maria GOH. Centre for Instructional Technology’s edtech team teamed up with Prof Thomas Hecht (Head of Keyboard Studies at Yong Siew Toh Conservatory of Music) to develop his SMART Piano Studio Courseware. Prof Hecht envisioned improving his teaching delivery by embracing technology and over the past few years, he started organising and streamlining his teaching concepts. Prof Hecht wanted a visual of all the key concepts for his students from Keyboard Studies at Yong Siew Toh Conservatory of Music during 1-to-1 studio piano teaching. There are about 8 students per cohort and the students are required to know the concepts before the class and throughout the semester as they practice their playing. CIT’s edtech staff met Prof Thomas Hecht in February 2018 to understand his requirements. Previously Prof Hecht used a PowerPoint file, but navigation was difficult. The key concepts needed to be organised for easy navigation with menus, so that he can point and click on any concept anytime during the class as a recap. CIT’s Wiki platform was recommended to create “Electronic Flashcards”. SMART Piano Studio Courseware achieved this by creating image icons that look like apps and adding links on the images to point to information on the page tree if need be. The main page is displayed with all the conceptual “apps” which are grouped by major categories with different colours. Some of them are “cosmetic” apps and symbols which do not require links. 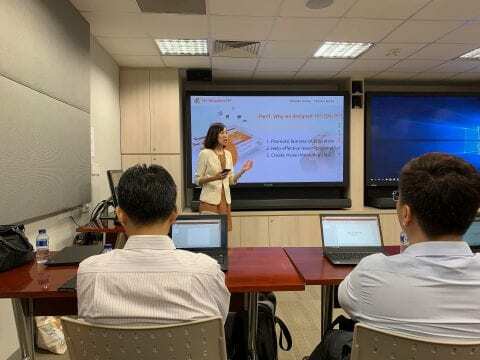 Wiki.nus allows him to restrict access of his proprietary teaching materials, yet with the flexibility of accessing from any browser with internet access. CIT completed the project successfully by June 2018. Prof Hecht tested it this current semester in every class and has received positive feedback. 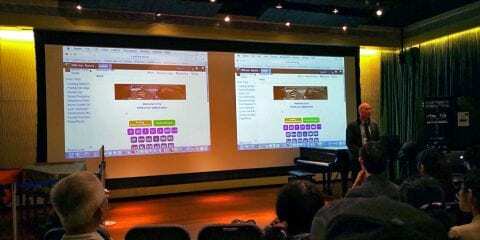 Prof Hecht views the SMART Piano Studio as a great pedagogy tool for his teaching as this projected display facilitates students’ visualisation of surrounding concepts during practise sessions. CIT staff were invited on 9th Oct 2018 to Yong Siew Toh Conservatory of Music for the launch of his SMART Piano Studio. Prof Hecht expressed his appreciation and CIT’s contributions was recognised. Posted in What's New on 13 October 2018 by Maria GOH. 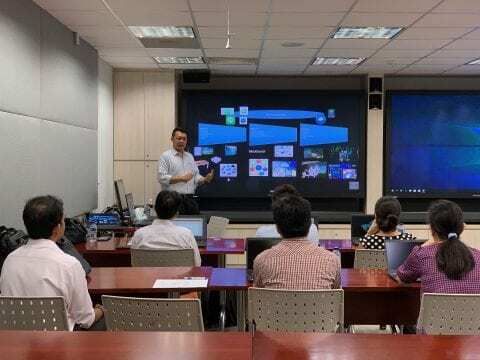 Read about Dr. Rajesh C. Panicker, a lecturer at faculty of Engineering, using the NUS Wiki to support Teaching and Learning in Higher Education for his course. Posted in Papers & Presentations, What's New on 4 October 2018 by Maria GOH.